Nothing makes a guitar ring like a dropped-D. The tuning lends itself well to almost any type of music. 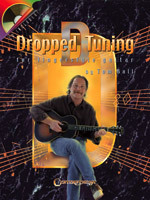 This book has 17 pieces in dropped-D tuning, covering a wide array of musical genres. All are played fingerstyle. Contents include: traditional folk songs, Joseph Spence style, blues in D, Irish and Latin songs, classical pieces and more. All songs played on the CD by Tom Ball plus bonus tracks. 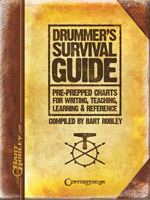 The perfect study companion for all drummers! With four of the most common ride patterns already written, in both one and two bar phrases, cuts transcription time in half. includes 40 essential rudiments, blank manuscript paper and more. 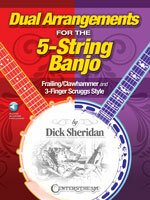 This collection features 18 essential songs ideal for �dueling� banjos, each playing the song in a different style. The songs are arranged in tablature with online audio for bluegrass, old-timey and folk styles using standard rolls and multiple tunings. Songs include: Cripple Creek � Cotton-Eyed Joe - Distant Thunder � Groundhog � Old Joe Clark � Skip to My Lou � Tom Dooley � Will the Circle Be Unbroken � and more. This handy guide to playing blues guitars emphasizes the essentials, such as: chord changes, scales, rhythms, turn arounds, phrasing, soloing and more. 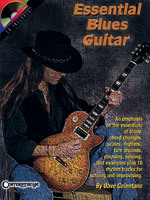 Includes lots of examples, plus 10 rhythm tracks for soloing and improvising. The lively, dynamic melodies associated with the fiddle can now be shared with the ukulele without losing any of the excitement, beauty, and drive. 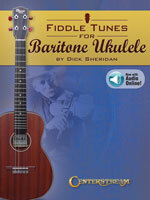 Readily playable on the baritone uke and easily adaptable to other chordal instruments, here are reels and jigs, waltzes and hoedowns, hornpipes and favorite airs, with sources drawn from around the world. Included are the traditional tunes in various regional styles heard at barn dances, bluegrass and folk festivals, fiddle competitions, Cajun �fais do-do�s,� Irish �sessions,� urban street fairs, festivals, and rural county fairs. From English villages to the bayous of Louisiana, you�ll find these tunes and many more.